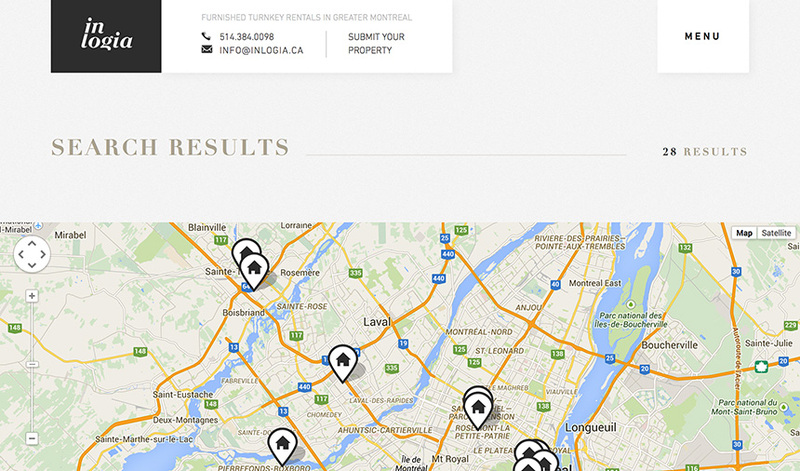 I did the front-end development for high-end footwear retailer Jean-Paul Fortin. 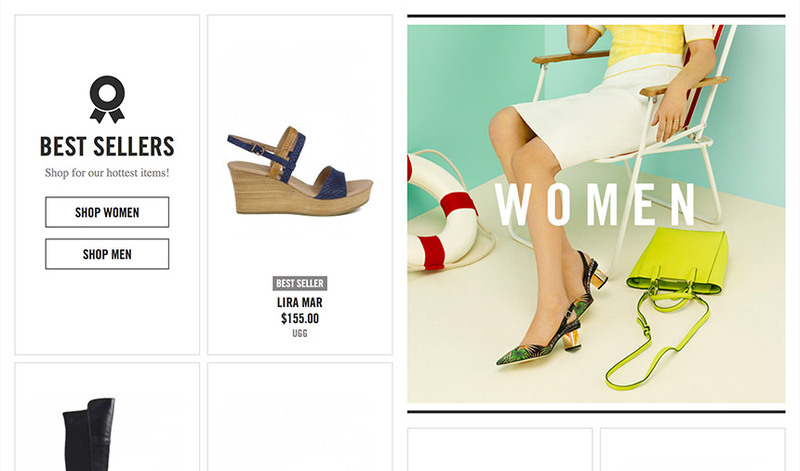 The site features product filtering, quick view and easy access to best sellers and web exclusives. 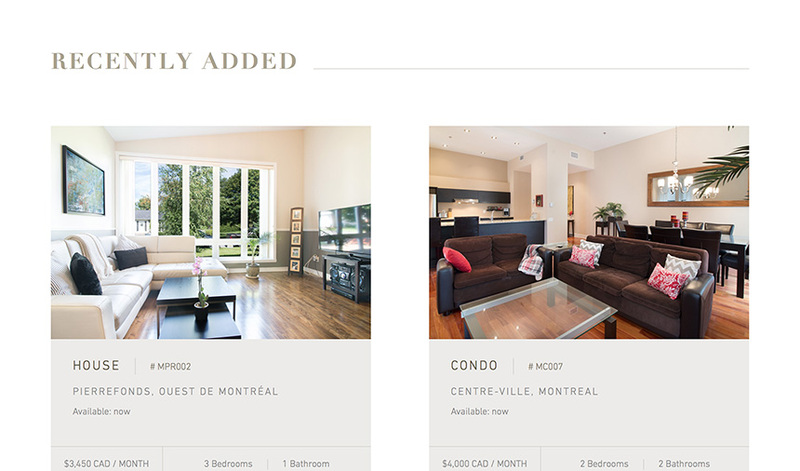 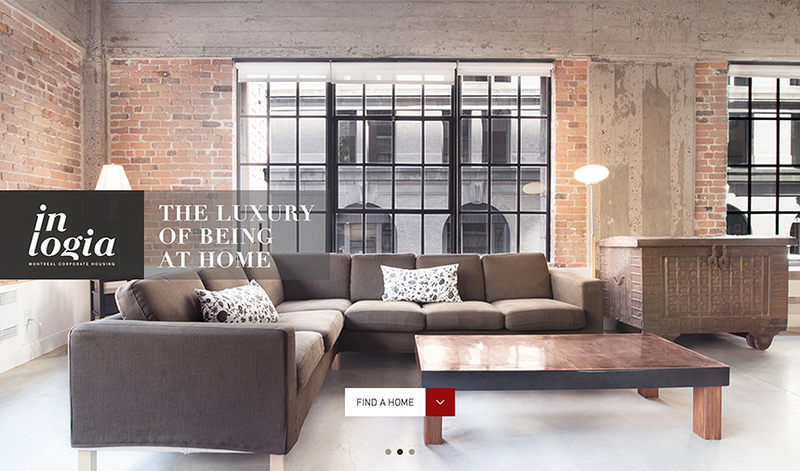 I did the web development for In Logia – a company specialising in high-end corporate housing. 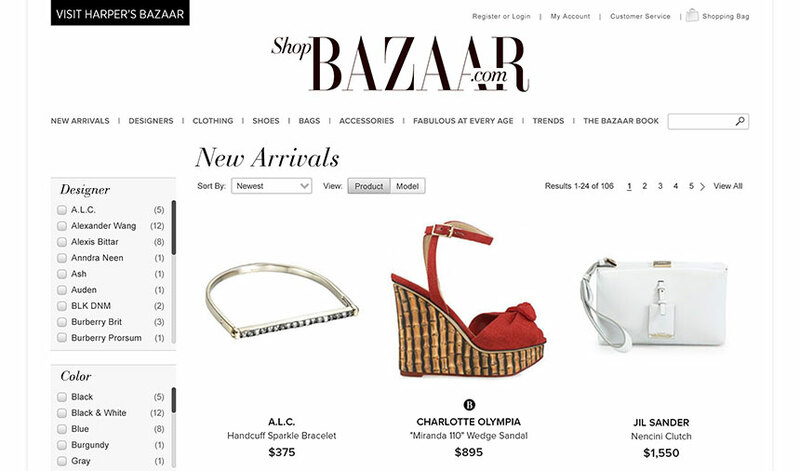 The site includes a custom search feature for customers to filter listings easily. 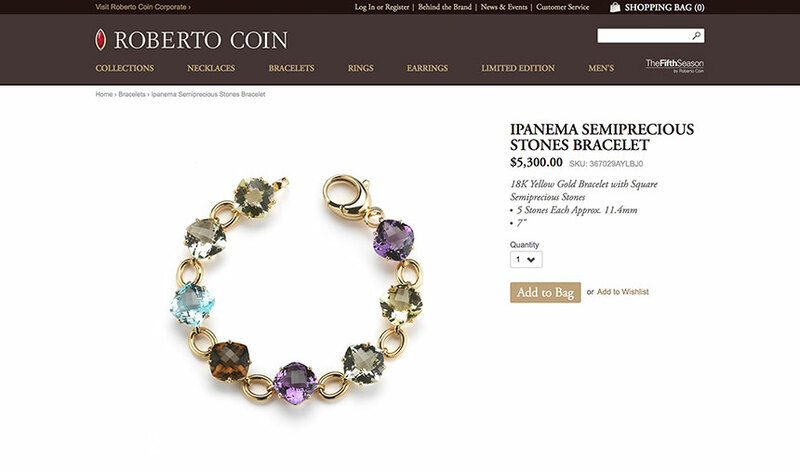 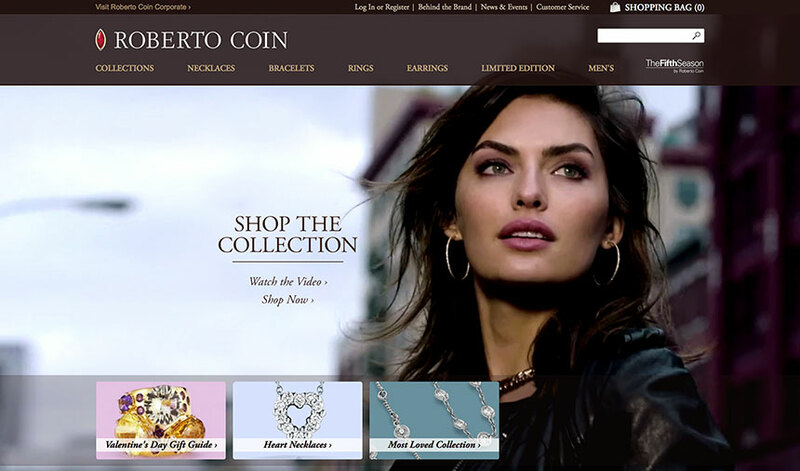 I did the front-end development for Roberto Coin’s U.S. online store. 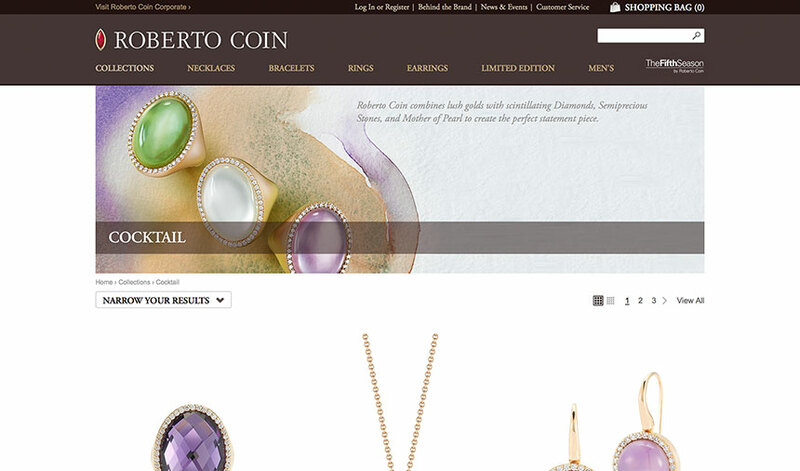 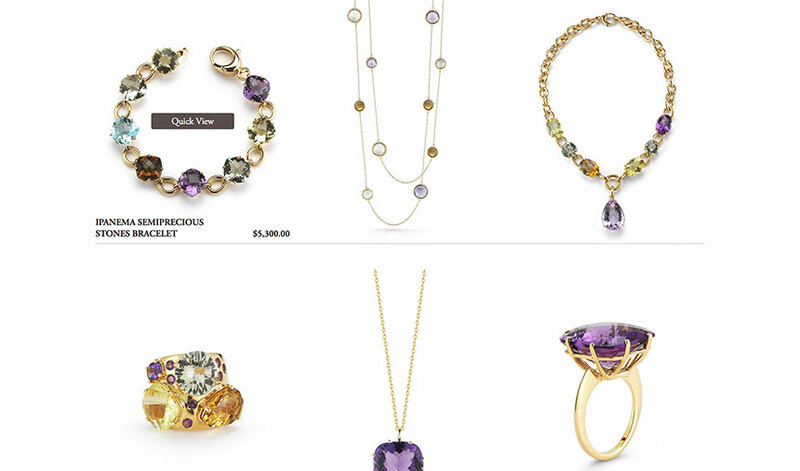 The site features the brand’s luxury Italian jewellery and includes product filtering, quick view and a blog. 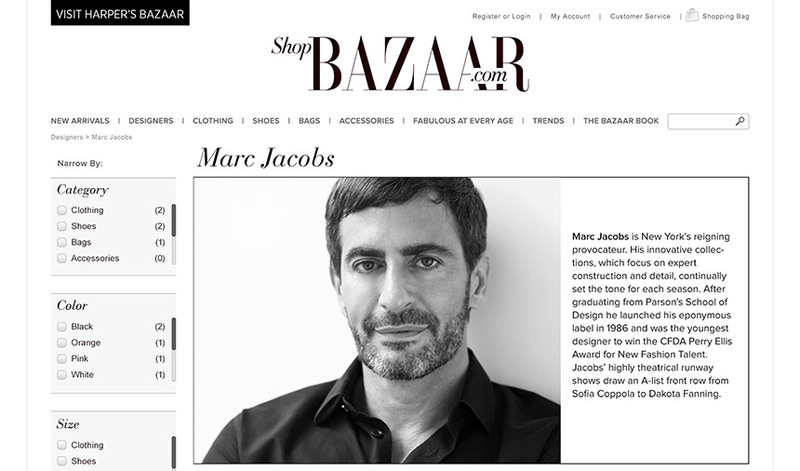 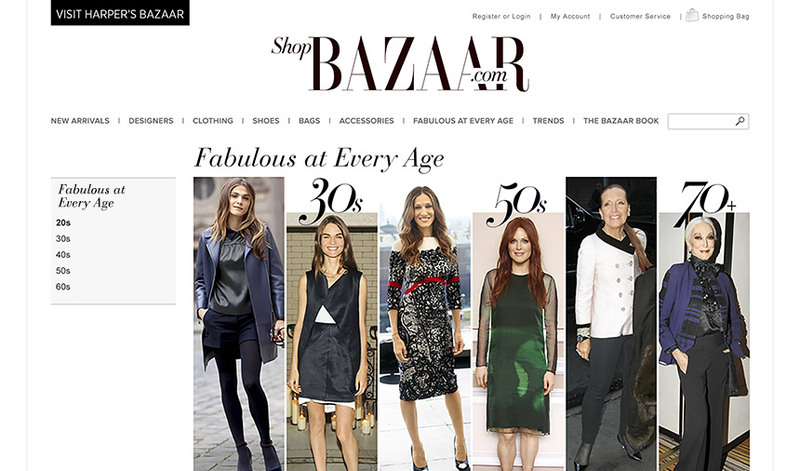 I did the front-end development for ShopBAZAAR – a new online store from Harper’s Bazaar Magazine. 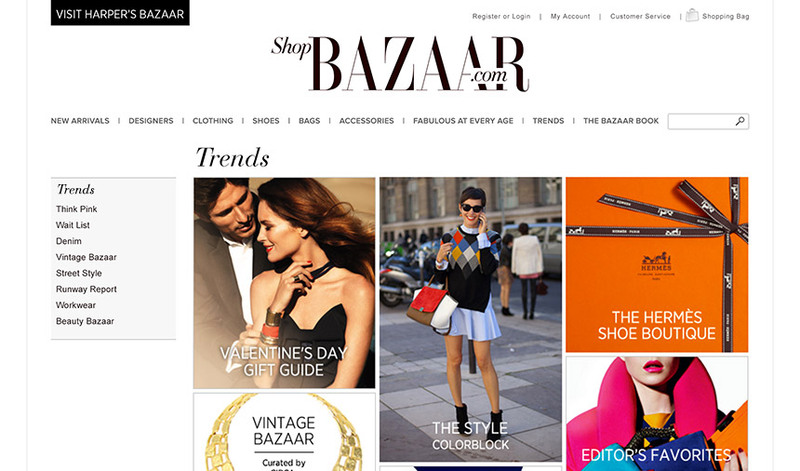 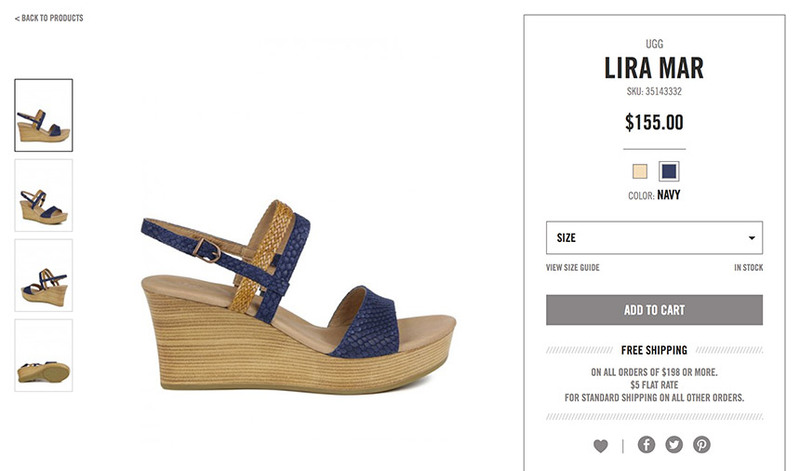 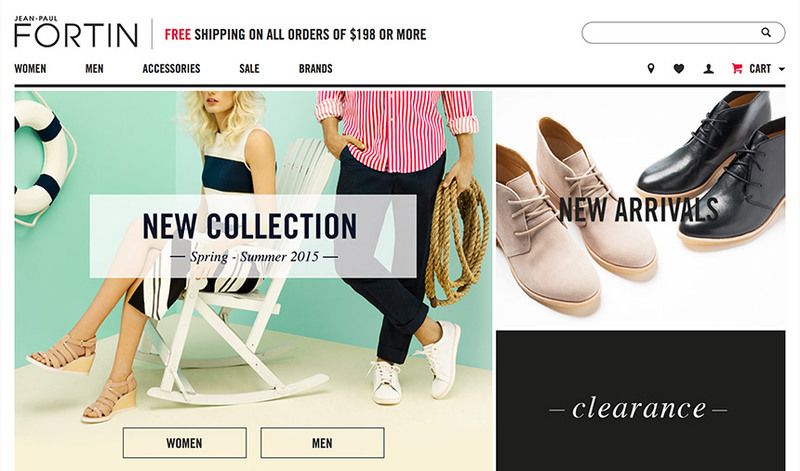 The site features trend pages, designer pages and filtering for easy shopping.